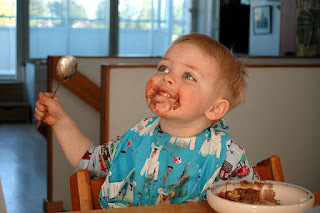 Your child approaches you with chocolate all over their face. You might ask, “did you eat a cookie” and surprisingly he responds “no”. Many parents feel their child is going down the wrong path if they are starting to lie at such an early age. Do not worry; this is a critical development in a child’s life. Developmental Child Therapy researchers categorize lying as a part of a child’s Theory of Mind. Lying is an important milestone in the child’s cognitive development. Lying proves that the child understands they can say something that they may not be thinking or feeling. They are able to instill false belief in a parent through words. Lying typically develops when children are around 3 or 4 years old. Lying might be difficult for children that have Autism, social communication difficulties, or delayed development. Lying is a smaller concept of the Theory of Mind. If a child has a fully developed Theory of Mind, they are able to understand that they can feel a different emotion from the one they display. Children are taught to hide feelings from a young age. For instance, if a child receives a gift they do not like, a parent might encourage the child to say they like it anyways to be polite. The parent is modeling the idea of hidden feelings. Knowledge of white lies to protect someone’s feelings helps children with social understanding and building healthy relationships. Although lying is a positive development, parents want to educate children on lying. If a parent catches a child in a lie, they should seize the moment as a learning opportunity. Children need to be aware of why they are lying. It is confusing for children to know the difference between a lie that is intended to protect someone’s feelings and a lie that hurts someone. A parent can communicate better ways to handle a situation than lying about it. For example, if a child breaks a vase and lies that it was not him, a parent can guide the child to approach the parent about the vase as soon as it happens instead of lying. Lying can be a difficult milestone to manage but it is a crucial development for a child’s Theory of Mind. Research proves if a child has a fully developed Theory of Mind they are better communicators, resolve conflicts more easily, and have more complex play. Van De Geyn, Lisa. "Why It's Healthy for Kids to Lie - Today's Parent." Todays Parent. Rogers Digital Media, 03 Jan. 2013. Web. 16 June 2015. <http://www.todaysparent.com/kids/preschool/ why-its-healthy-for-kids-to-lie/>. Lowry, Lauren. "The Truth About Kids' Lies." The Truth About Kids' Lies. Hanen Centre, n.d. Web. 16 June 2015. <http://www.hanen.org/Helpful-Info/Articles/The-Truth-About-Kids- Lies.aspx>.